The great thing about Netflix is that it has all of those shows that ‘you’ve heard good things’ about but can never seem to find on TV. 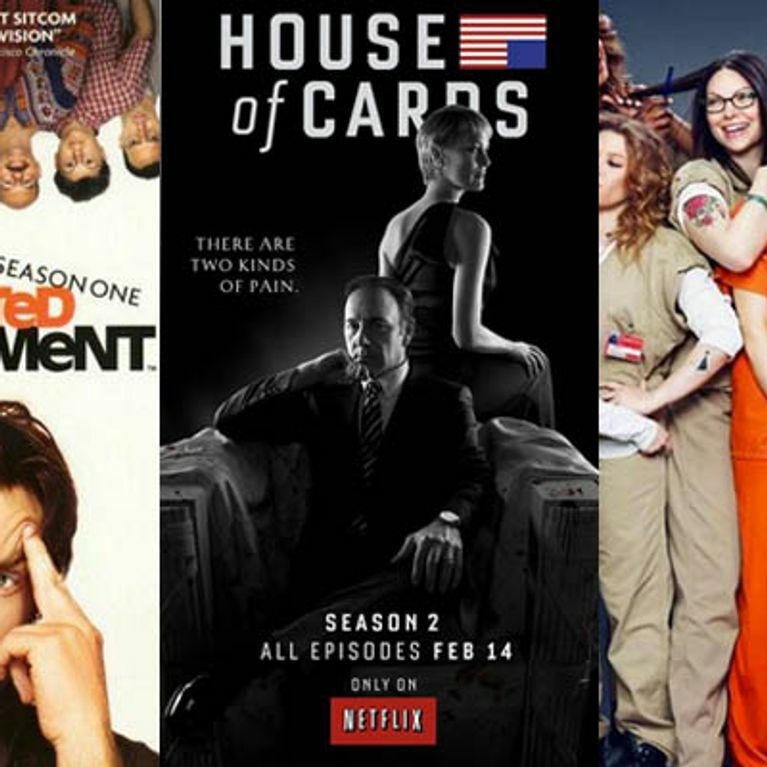 From comedies to teen dramas to fantasies, there’s something for everyone, and since boxsets of shows are ready for your viewing pleasure, it’s fair to warn that once you start one of these shows, you might not emerge for several days! Hemlock Grove is a Netflix Original all about werewolves and other weirdness in the sleepy town of (yep you got it) Hemlock Grove. If you think this is a silly teen drama, think again. It’s more True Blood than The Vampire Diaries, which you’ll quickly find out when a girl is graphically ripped to shreds in the first five minutes of episode one. Enjoy! Arrested Development is probably the most underrated comedy series of all time, so for heavens sake join those in the know and get watching! Crying with laughter is almost guaranteed, and season four of Arrested Development was released as a Netflix exclusive only last year! This tongue-in-cheek series is about a middle class good girl who committed a crime during her wild younger years and is sent to prison for a year. The show looks at the impact Piper’s prison stay has on her fiancé, her friends and her own mental wellbeing. Each episode focuses on different inmates backstories as well, and the cast are just amazing! There’s also a very amusing episode involving a chicken. If that doesn’t convince you to watch, nothing will. House of Cards is a Netflix original series that has been critically hailed and is definitely worth a watch. Starring the formidable Kevin Spacey as the ruthless congressman Francis Underwood, this political drama will seriously make you question US politics. Welcome to Washington! Three seasons in and only getting better, this weird, artistic and basically terrifying show takes place in different (freaky) places each season. Get ready for the haunted house and insane asylum settings, and maybe watch it with the lights on, just in case. This is a comedy about a bunch of terrible people who own a bar. Seriously, they’re terrible. Especially when Danny DeVito gets involved from season 2. If you love shows like the UK Office, Parks and Recreation or Curb Your Enthusiasm, this will definitely be right up your street. This American TV show is a detective drama and fantasy series combined (and it’s amazing). It follows Nick as a police officer and hunter who chases down fairy tale-esque bad guys. Yes, there are Big Bad Wolves. And Ogres. There’re two series on Netflix at the moment. More than enough to be binging on for the time being! The first seven seasons of the US version of The Office are on Netflix, and once you’ve been sucked into the absurd paper business of Dunder Mifflin, you won’t be able to get out, especially since the characters are SO great. Steve Carrell plays Michael Scott, who is basically the most annoying idiot you will ever love unconditionally, whilst Dwayne is a volunteer Sheriff and stickler for the rules, who is consistently pranked by Jim (we also love Jim). Modern Family follows the lives of an unusual American family as they go about their day to day lives. The mockumentary style is done perfectly here, and the whole cast, especially the kids, are hilarious. This one is definitely one to watch if you need a bit of light entertainment, and let us know when you’ve fallen in love with Phil (man or woman, it will happen to you). The Good Wife has taken America by storm as it follows attorney Alicia who is forced to return to work when a scandal gets her politician husband into prison. If you need critical reassurance before watching a show, this show has won more Golden Globes, Emmys and Screen Actors Guild Awards than it can carry, and the four seasons on Netflix will definitely be worth binge watching!